Posted on June 25, 2018 by Nils Hansen and filed under KIDS. 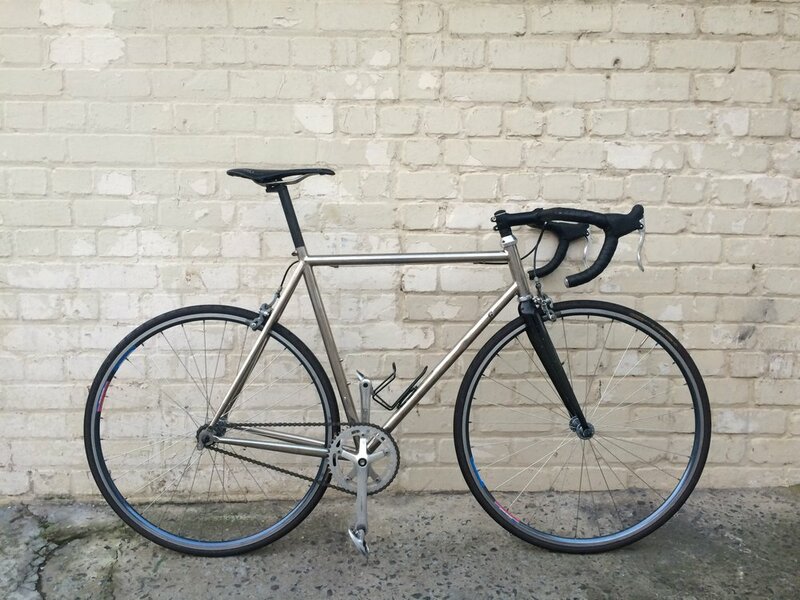 Reynolds 653 steel frame and fork - medium 54cm toptube : 9 x3 shimano sora drive train with avid bb5 cable disk brakes . Schwalbe marathon plus 700 x 35 c tyres with mudguards .Comes with Topeak rear rack and front ortlieb rack . Front and rear ortlieb bags included . Brooke's 17 leather saddle ALSO .. Amazing bike . Ride to Egypt Tomoorrow !! 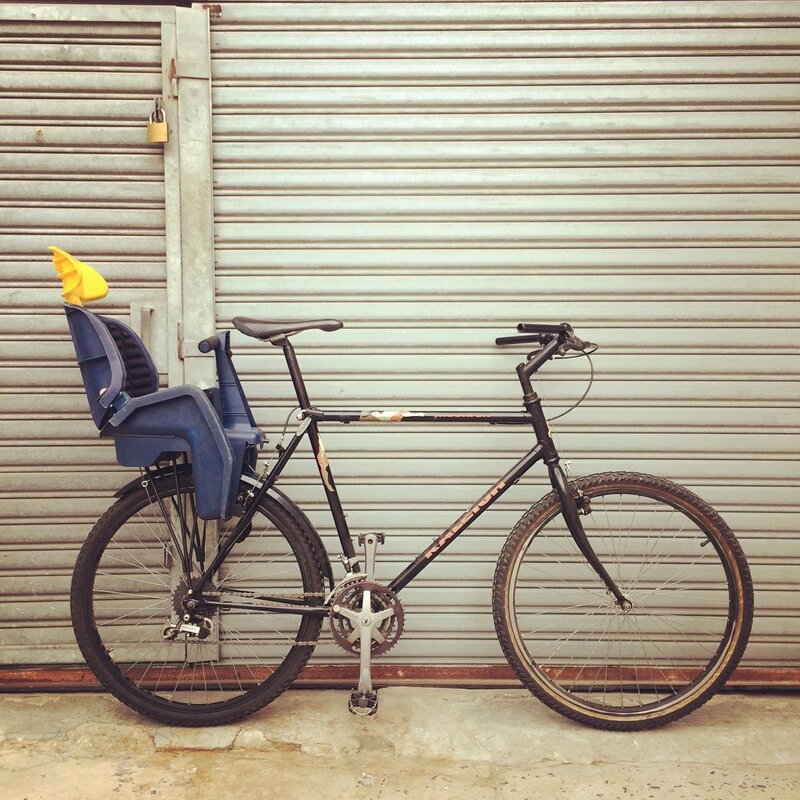 Posted on June 25, 2018 by Nils Hansen and filed under COMMUTER and tagged TOURING. Posted on June 23, 2018 by Nils Hansen and filed under COMMUTER, Mtb and tagged CUSTOM Gt. Posted on June 23, 2018 by Nils Hansen and filed under KIDS. Basic entry level touring setups . R3000 without bags and racks , R4500 complete ready to go ..
Posted on June 23, 2018 by Nils Hansen and filed under COMMUTER and tagged TOURING. Posted on June 23, 2018 by Nils Hansen and filed under Fixed gear and tagged SINGLESPEED. Posted on June 23, 2018 by Nils Hansen and filed under COMMUTER and tagged LADIES. Posted on June 22, 2018 by Nils Hansen and filed under Fixed gear and tagged SA. Posted on June 22, 2018 by Nils Hansen and filed under COMMUTER, ROAD and tagged PROP. Posted on June 22, 2018 by Nils Hansen and filed under Fixed gear and tagged TRACK. Posted on June 21, 2018 by Nils Hansen and filed under COMMUTER and tagged PROP. Posted on June 21, 2018 by Nils Hansen and filed under COMMUTER and tagged COMMUTER. Posted on June 21, 2018 by Nils Hansen and filed under ROAD and tagged ROAD SA TOURING. Posted on June 21, 2018 by Nils Hansen and filed under ROAD and tagged SA ROAD. Posted on June 21, 2018 by Nils Hansen and filed under ROAD and tagged ROAD SA. Great commuter - can be converted into a nice on/off track bike . Nice shimano wheels . Good condition . Posted on June 21, 2018 by Nils Hansen and filed under ROAD and tagged SINGLESPEED. This is the first marathon bike !! Full carbon with carbon lefty - avid brakes and a mix of shimano components . Some xtr and Cannondale SI cranks . A bike of today costs over a 100k most likely . It's old fashioned but cool bike . Posted on June 21, 2018 by Nils Hansen and filed under Mtb and tagged MTB. Posted on June 21, 2018 by Nils Hansen and filed under ROAD and tagged ROAD. Posted on June 21, 2018 by Nils Hansen and filed under COMMUTER, ROAD and tagged TOURING.